At the National Bike Summit in March, we revealed the new face of the League — a more modern, sophisticated and forward-moving branding that draws on our storied history and propels us to a brighter future for biking. A few weeks later, members started receiving our redesigned magazine, with more vibrant content, creative visuals and even a centerfold infographic. 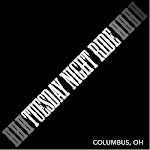 Next, we rolled out a fresh take on our National Bike Month Guide andresources, and, before the end of May, released an equity report that showed in content and layout that the League is stepping up to change the face of bicycling. 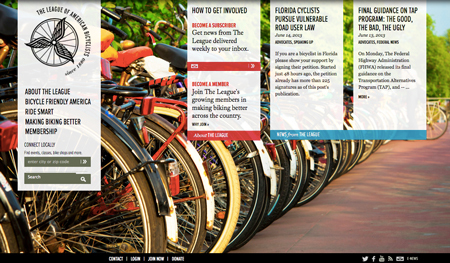 Now, you'll be able to find all that — and more — on our upgraded and entirely redesigned website!